There’s no doubt Lake Tahoe is gorgeous to look at, but there’s more to this amazing place than meets the eye. A lot of visitors ask us, “What makes the lake and the Lake Tahoe area so special?” There’s so much that we can’t possibly answer that question in a single blog post or conversation. However, we can share some fun facts about the area that will blow your mind! 1. Lake Tahoe is deep enough to cover the Empire State Building. Lake Tahoe, the largest alpine lake in North America, is about 1,644 feet deep. To put that into perspective, you could completely submerge the famous Empire State Building in New York, which stands at 1,454 feet at the tip. It’s the second deepest lake in the United States and one of the deepest in the world. 2. Lake Tahoe is in two places at once. That sounds impossible, right? Nope! Approximately 2/3 of the lake is in California and 1/3 is in Nevada. We think it’s pretty cool that we share such an amazing natural landmark with our neighbors in Nevada. 3. The lake could cover the entire state of California in water. There’s approximately 36.15 cubic miles of water in Lake Tahoe — or approximately 39 trillion gallons. 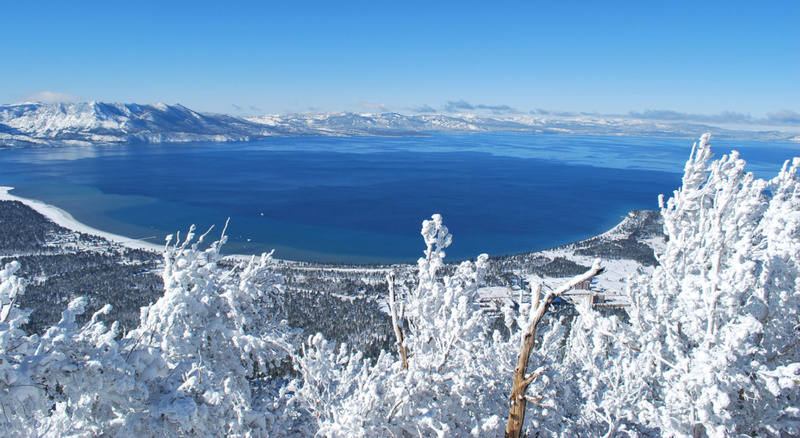 According to Keep Tahoe Blue, that’s enough water to cover a flat area the size of California with 14 inches of water. It’s also enough to supply everyone in the United States with 50 gallons of water per day for five years! 5. Tahoe South gets enough snow to cover a three-story building. According to U.S. Climate Data, South Lake Tahoe sees an average of 408 inches of snow, or approximately 34 feet. Generally, a story is about 10 feet, which means there’s enough snow to cover a three-story building. Of course, that’s just the average — 500+ inches of snow has been known to happen. 6. The water is almost as pure as drinking water. The water in Lake Tahoe is 99.994% pure, according to the Tahoe Fund, and considered one of the purest large lakes in the world. Commercially distilled water is 99.998% pure, so it’s pretty close. Lake Tahoe was designated as an Outstanding National Resource Water under the federal Clean Water Act. Learn more about how we’re doing our part to protect Lake Tahoe’s natural landscape. Experience the natural beauty of Tahoe for yourself! 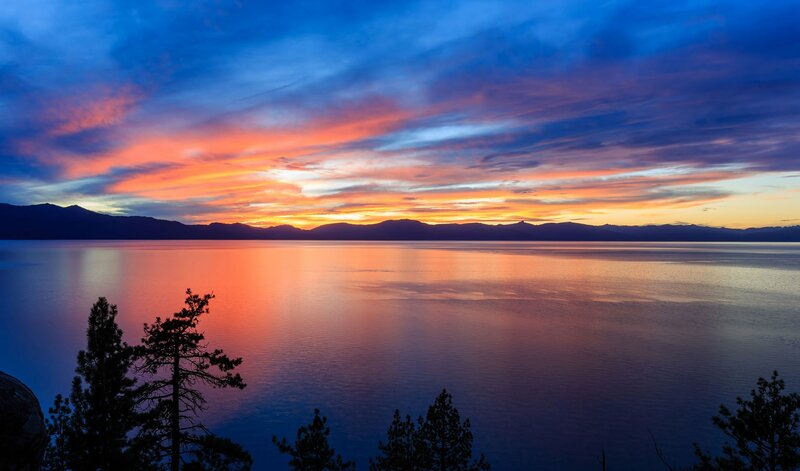 We may be biased, but we definitely think Lake Tahoe is truly something special. It’s one of those “you have to see it to believe it” kind of places. Besides the natural beauty, we call it a year-round playground because there’s always fun attractions and things to do. We hope you’ll join us soon and experience all the lake, mountains, and fun for yourself.